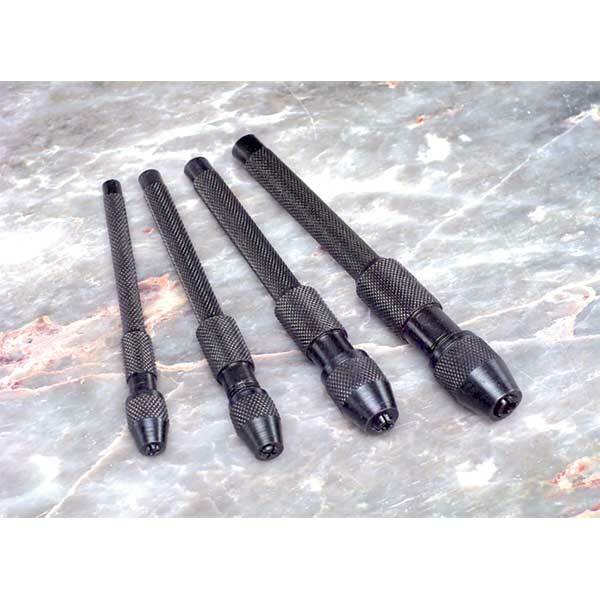 This well made steel Machinist's Pin Vise Set features knurled no-slip grips and a black oxide finish to resist corrosion. Holds drill bits and wire from 0 to 3/16 inch. Handles are 3-1/2 inches to 4-1/4 inches long, 5/16 inch to 1/2 inch diameter.